I love eating Japanese food, but what I don’t love about it, is the bill. Japanese cuisine does not come cheap, unless you are willing to settle for substandard quality (supermarket pre-packed sushi). 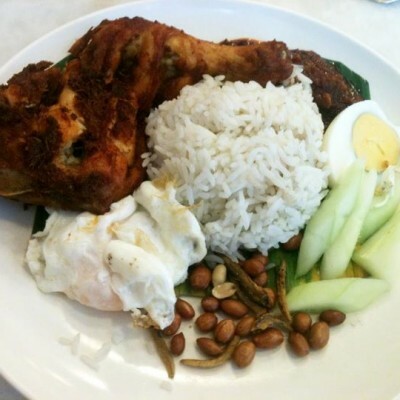 Luckily for me, I received an invite from Qguides.com and Hilton Petaling Jaya to do a food review on Genji. 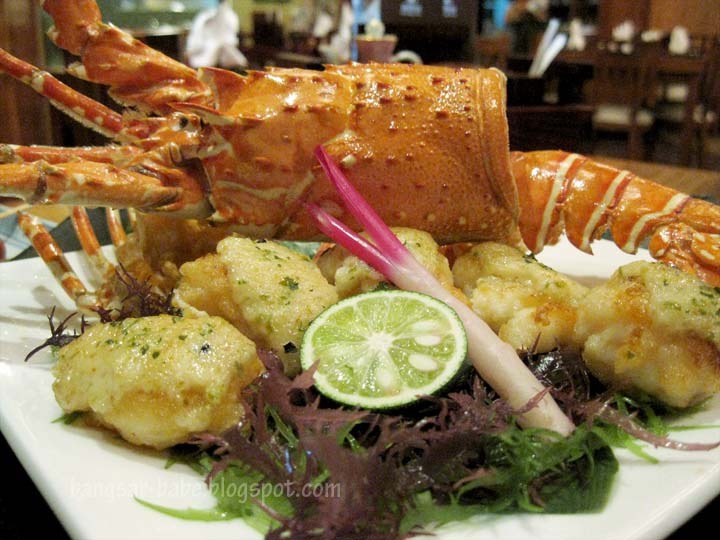 So far, I have only tried Genji’s lunch and dinner buffet, because I have a healthy appetite and love a good selection. After a short briefing by Jek (from Qguides.com) and Cindy (from Hilton PJ), rif and I were ushered to Genji. 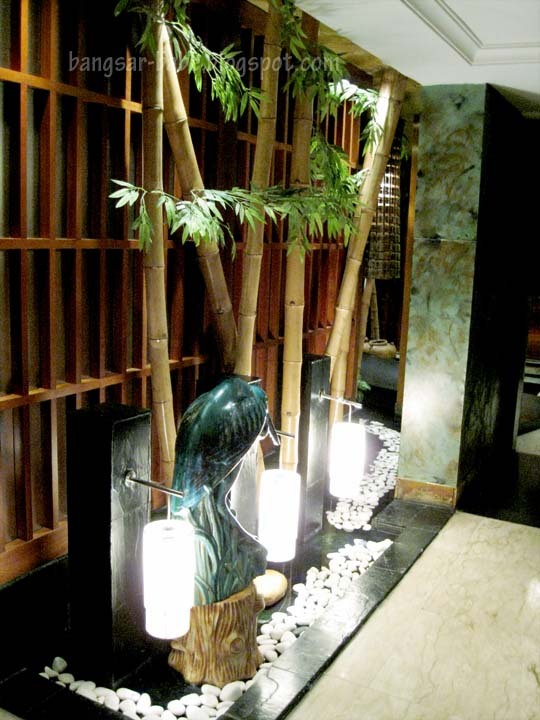 The entrance is simple, and inside the restaurant, the ambiance is serene, inviting and full of sensory delights. Once seated, we were given the menu and shortly after that, Amos, the F&B Manager came over to inform us of their latest Kobe Beef promotion. The man behind the good food at Genji is Chef Richard Teoh, who boasts 23 years of experience under his belt. Our head waitress was very knowledgeable and helpful when it came to recommending a few special dishes. We kicked off our dinner with some Ginjyo sake (RM85 for 300ml). Ginjyo is not a brand name; it is actually the grade or quality of sake and it means premium sake. I?m no sake connoisseur, but I found the Ginjyo refined and aromatic with a slightly nutty taste. 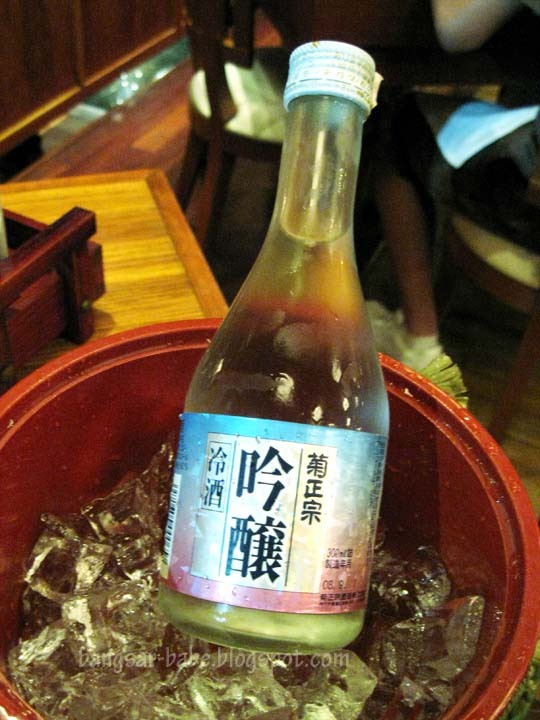 It is best taken slightly chilled, for warming or over-chilling premium sake tends to mask or destroy its delicate flavours. The menu was extensive, and we had a field day choosing a variety of dishes to share. First to arrive was the Sashimi Moriawase Jyo (RM230), an assortment of Toro (tuna belly), Butterfish, Kampachi (yellowtail), Salmon (sake), Amaebi (prawns), Maguro (bluefin tuna), Shellfish (scallops) and Ikura (roe). This was outstanding. Of the selection, my favourite was the toro. Toro comes from the underbelly of the tuna, and its grades are distinguished based on the marbling of the fish. I was as excited as a child who just found a candy machine when I saw three thick rectangular slices on the sashimi platter. I popped one in my mouth and closed my eyes to savour the moment. At first bite, the texture was firm. Then, it became moist and meltingly tender, and the taste of the toro came through ? meaty, buttery rich and ethereal. There was nothing quite like it ? the experience resonated long after the toro had slipped gently down my throat. 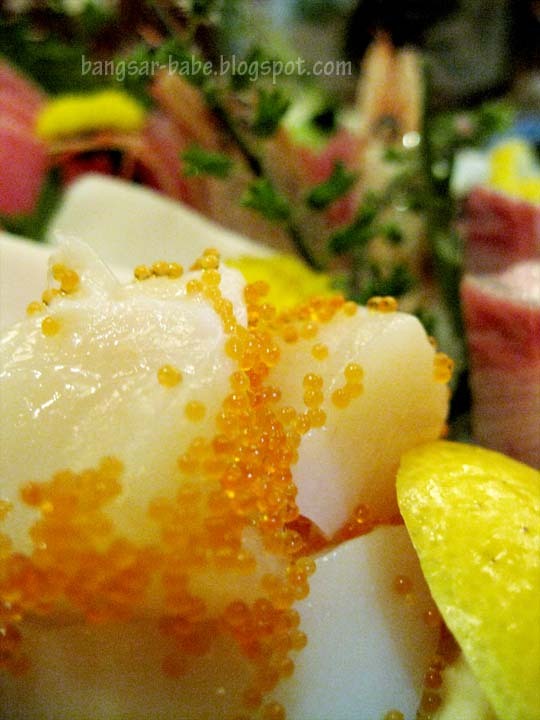 The yellowtail was delicious, as were the scallops (almost the size of a 50 cent coin) which came in a hollowed lemon bowl and topped with bright orange roe. The pairing of the scallops, roe and lemon zest created a combination of interesting textures and flavours (scallop, fish roe and lemon). I rather enjoyed the prawn sashimi, which didn?t taste raw at all. Instead, these giant prawns were crunchy, sweet (literally) and meaty. For a moment, I thought I was eating scallops, until I felt the tail of the prawn nudging the roof of my mouth. 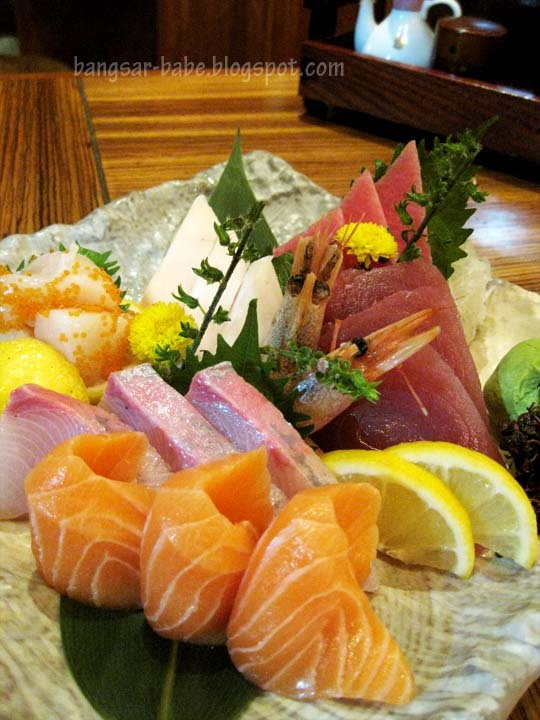 The salmon, tuna and butterfish were all very fresh. 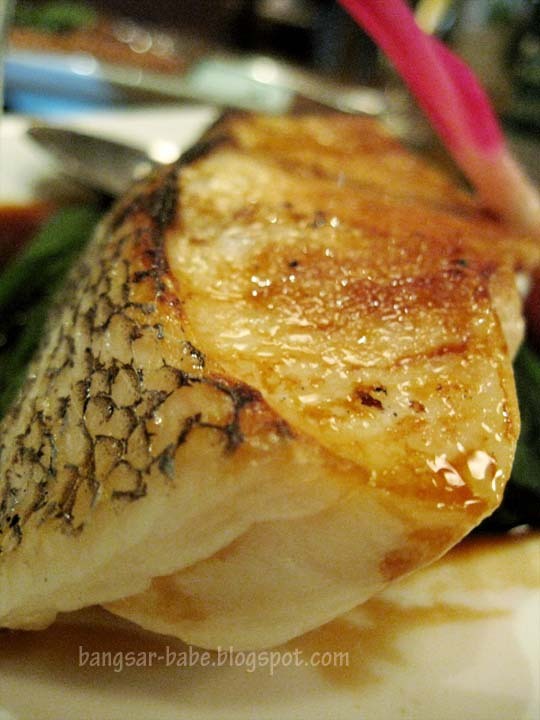 Unlike the tuna which had a firm and lean texture, the butterfish was light, creamy and slightly watery. The salmon was supple and melt-in-the-mouth tender. We were halfway through the sashimi platter when the soft shell crab temaki (RM13 per roll) arrived. I would have preferred it to be served after we were done with the sashimi, but all was forgiven when I sank my teeth into the roll. The fine crab was complemented by a dollop of mayonnaise and briny, popping roe. 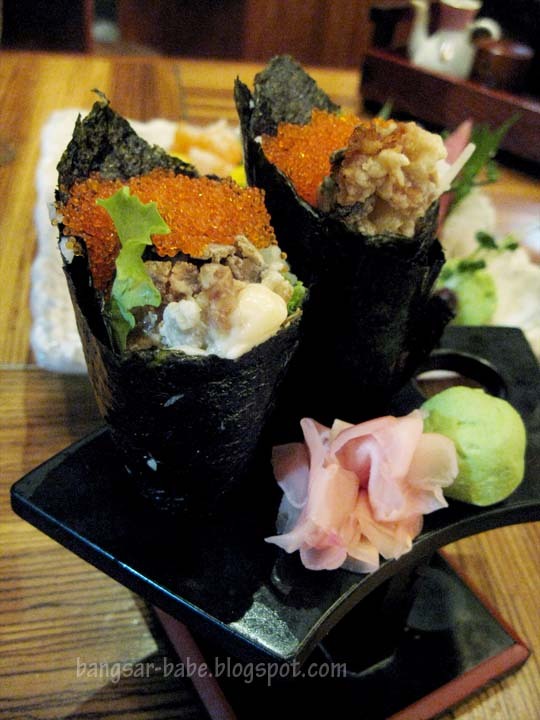 I chuckled between mouthfuls as I watched rif’s eyes roll slightly backward as he polished off his portion of the handroll. Soon, other dishes arrived at our table – each brought with it something new, distracting us from the previous. 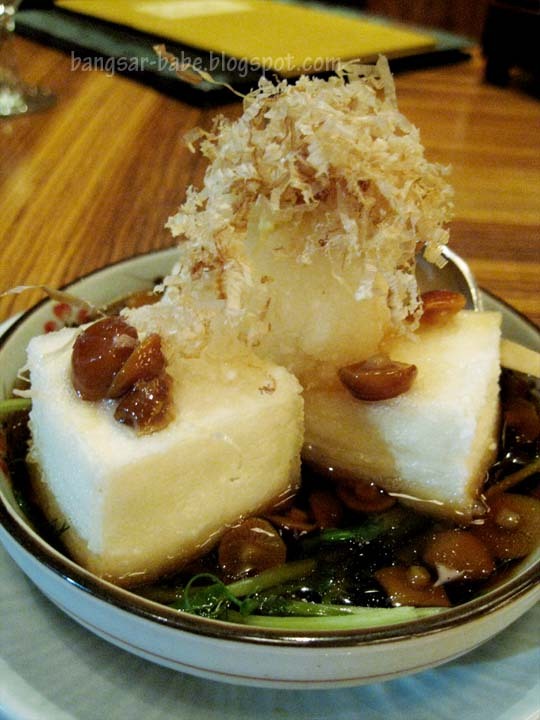 The agedashi tofu (RM13) consisted of four squares of tofu, which were lightly battered and deep-fried, and served in a soy-ginger sauce with a scattering of dried bonito flakes on top. The tofu texture was firm and custard-like, while the light sauce with chopped scallions added flavour to the otherwise bland bean curd. I didn?t particularly enjoy it as I like my tofu dishes spicy and flavourful. rif ate most of this. We ordered a customary serve of unagi kabayaki (RM50); it had a glistening mahogany-coloured, soy-based veneer. The eel fillets were glaze-grilled, leaving it crisp on the outside, but tender on the inside. 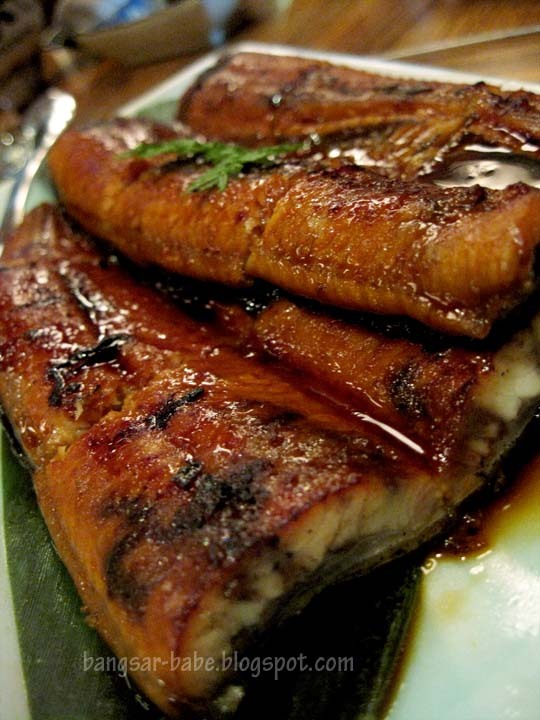 The sweet, caramelized glaze accentuated the oily and rich texture of the eel. Another splendid dish was the kaki chilli mayo (RM14 per piece), which was baked fresh oyster in spicy mayo. 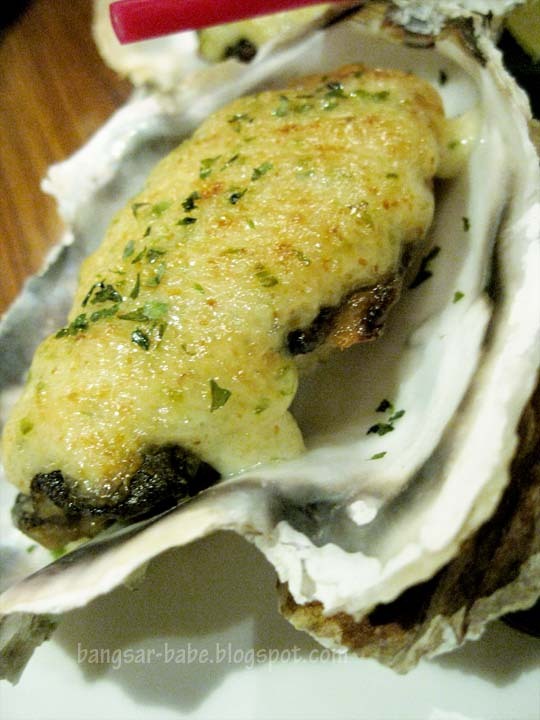 The big, juicy oysters with creamy sauce were in a class of their own. Instead of overpowering the oysters, the sauce paired very well with the aphrodisiac, which almost spurted when I bit into it. I’m not a big fan of fish, but I do love eating cod, especially when it is done a non-Chinese way. 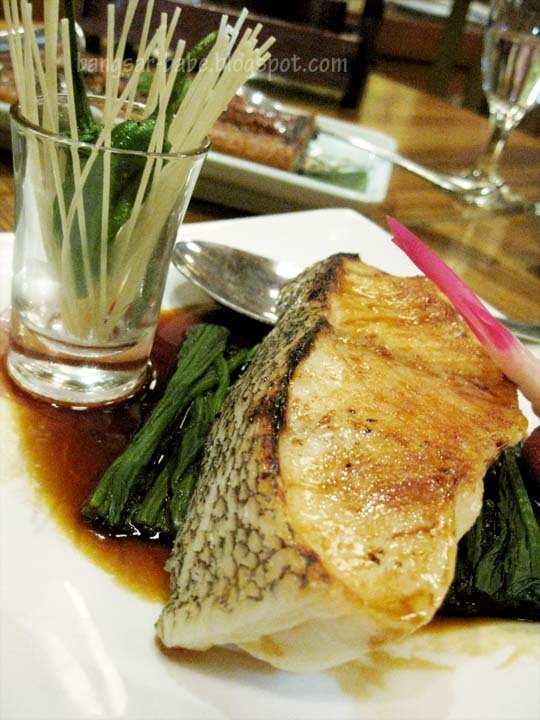 Grilled to succulence, the black cod (RM52) was slightly crisp at the edges. As I cut into the fish, its firm, glossy flesh flaked beautifully. It was sweet and rich (a reminiscent of the sea), perfectly complemented by the subtle sweetness of the teriyaki sauce. We ate everything, including the garnishing. The Kobe Yakiniku (RM120) was a stunner. (Kobe beef comes from the pampered, hand-massaged, soybean-fed, beer-quenched cattle in Kyoto) When I cut into the thinly sliced beef, it oozed moisture and had a remarkably smooth consistency. 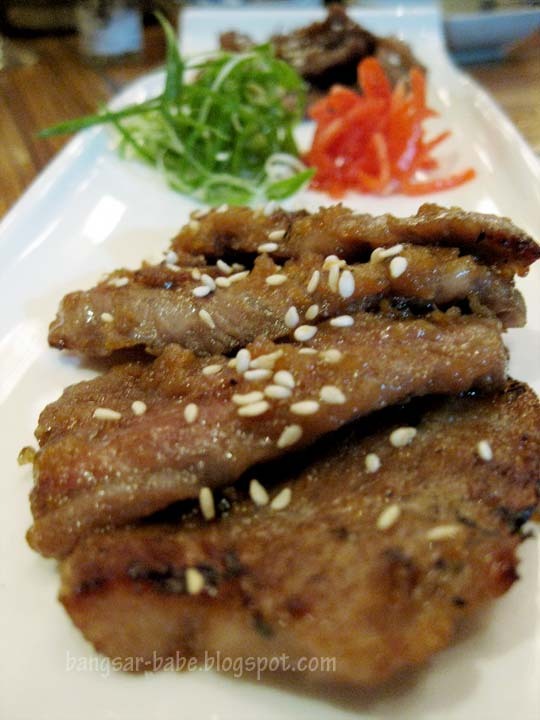 The meat had extraordinary richness, and a deep, beefy flavour which was balanced by the sweet, sesame-flavoured sauce. If I had to describe its taste in simpler terms, I would call it the crème brulee of the beef world. 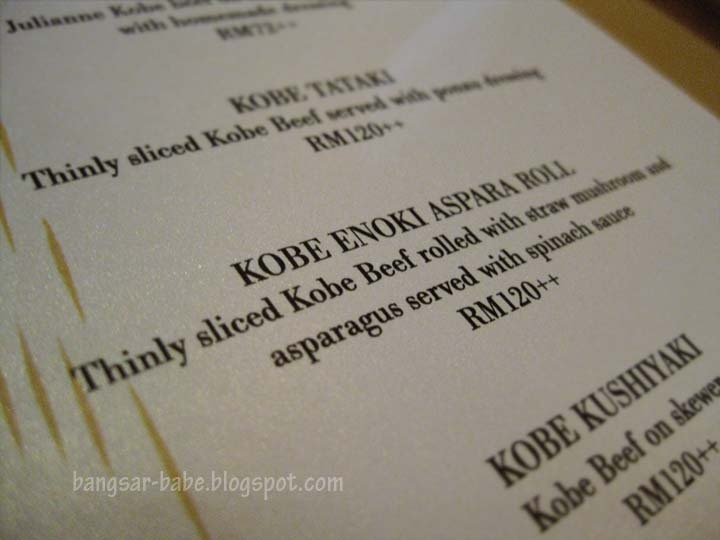 Coming in a close second was the Kobe Enoki Aspara Roll (RM120), which was beef slices rolled with straw mushrooms and asparagus in spinach sauce. The spinach sauce had a thick and creamy consistency, and tasted mildly savoury. 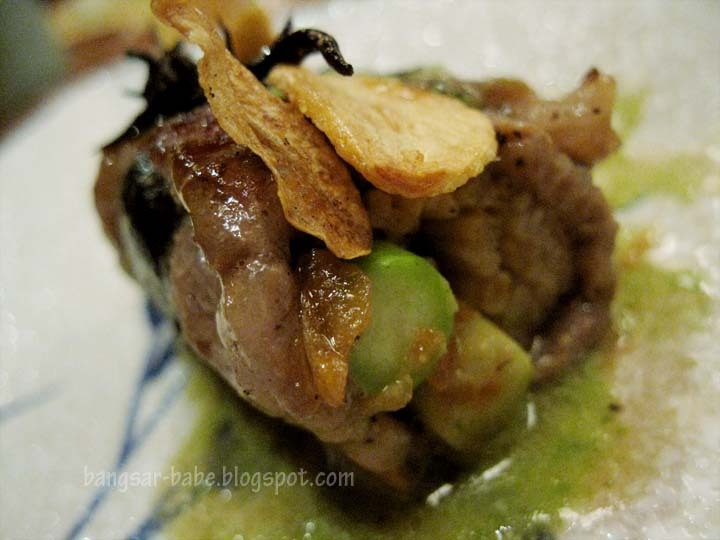 Its subtle taste complemented the different textures of the dish nicely. The asparagus was perfectly prepared, boasting an earthy, charred flavour. Each stalk was positively juicy with a texture slightly crisp on the outside yet firm, not soggy on the inside. 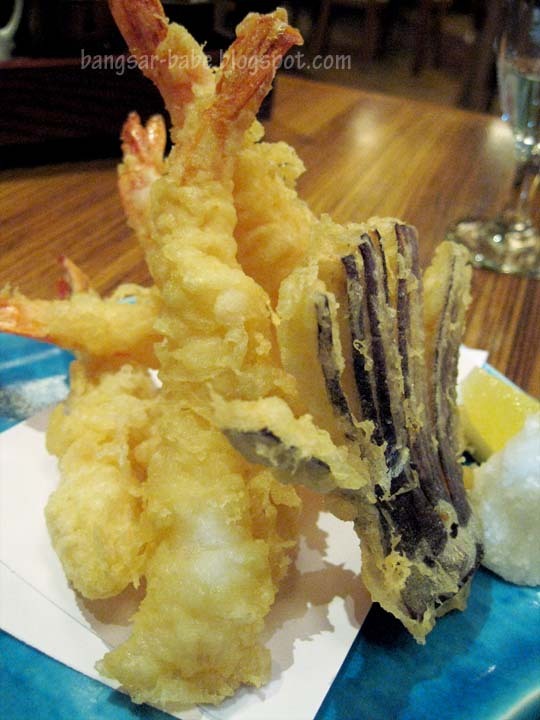 The ebi tempura (RM38) came sizzling hot, and encased in a batter so fluffy, it almost melted in my mouth. However, the prawns did injustice to the batter, lacking crunch, sweetness and succulence. I did enjoy the eggplant tempura, which was fleshy and tender. 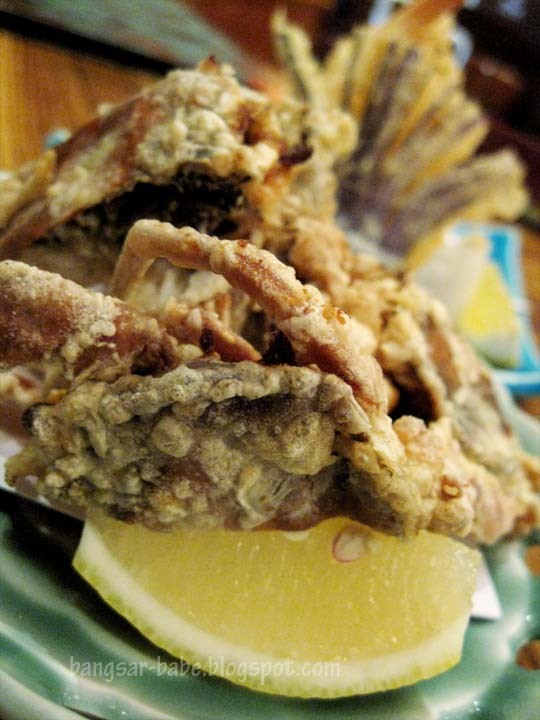 I was disappointed with the soft shell crab karaage (RM16), as the batter was soggy and greasy, masking the flavour of the crabs. Also, the crabs were served while we were tucking into the kobe beef, so it was left in the open for a good 10 minutes. 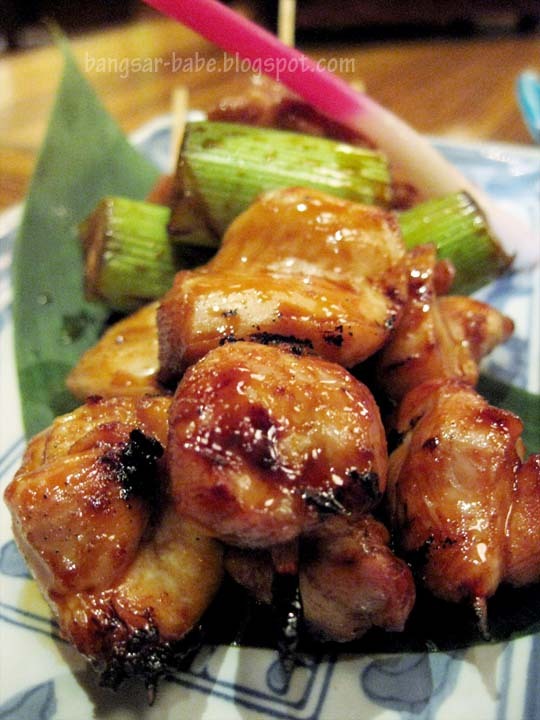 I couldn’t resist ordering the yakitori (RM14) – several bite-sized pieces of chicken meat skewered and placed on a grill just wide enough to barbeque the meat without burning the skewers. I liked that they used dark meat, as it has more flavour. The chicken was lightly charred outside with a dark, shiny, sweet-salty-and-bitter glaze; a result of frequent basting and quality sauces. Inside, it was succulent, firm and incredibly flavourful. The garlic fried rice (RM13) was fluffy, with slightly charred bits and brimming with wok hei. 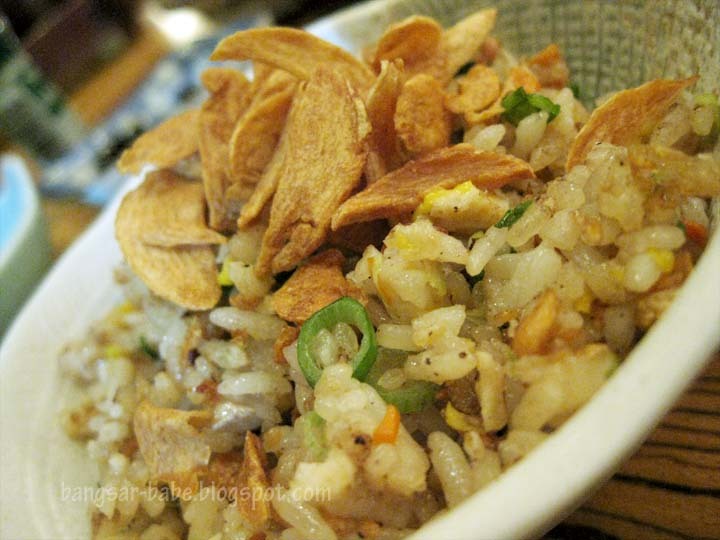 Topped with crispy fried garlic slices, the rice grains were flavoured with a good hint of garlic. This was far superior to the pallid garlic fried rice I usually get, and I ate it as slowly as I could to prolong the experience. Amos suggested we order the Lobster Chilli Mayo, which came beautifully presented on a platter. The lobster meat cooked up tender yet firm. 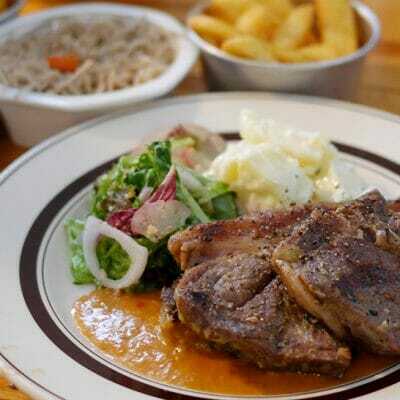 The lime juice, squeezed over the creamy sauce gave the meat a kick of flavour without diminishing its sweetness. Frat came by to see us, and to prevent me from calling him a lamppost, he dragged Lisa and Elaine along. 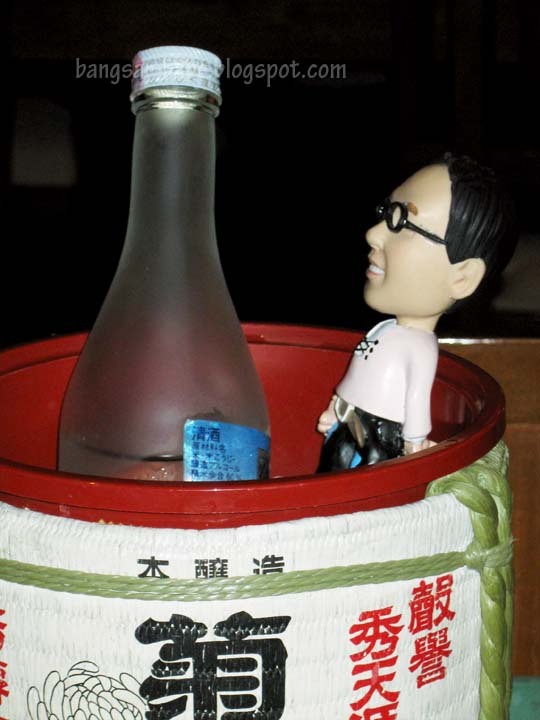 He kept looking at my sake bottle, asking me how it tasted…yada yada yada. I got the hint, and let him drink my remaining ¾ bottle of Ginjyo sake. Just joking! I asked him to help me finish the sake. The matcha parfait (RM20) was impeccable. The ice cream was exceptionally creamy and vivid, with a subtle, yet pronounced green tea flavour. rif who said he couldn’t put anything into his stomach changed his mind the minute he licked the bit of ice cream which was about to drip down the cup. “OMG! 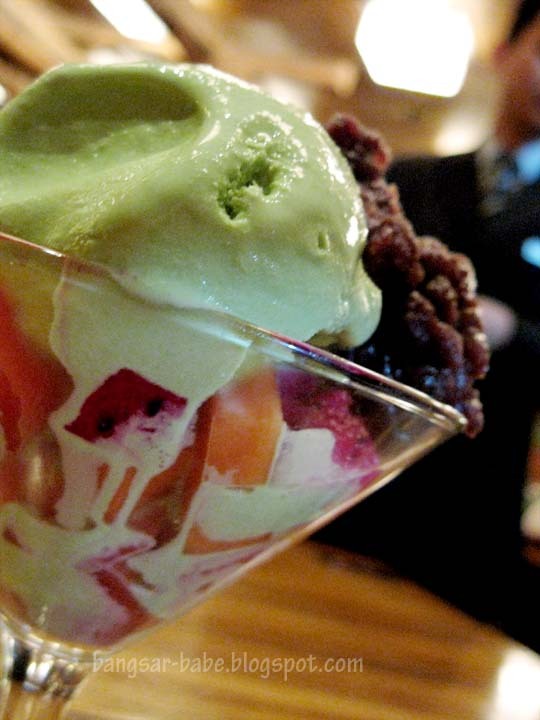 I’ve never tasted such a nice green tea ice cream before”, he exclaimed, and went on to eat MORE THAN HALF my parfait. 0_o The green tea ice cream married with the tiny chunks of papaya, watermelon and dragon fruits marry very well together. I ordered the Azuki Dorayaki (RM24) out of curiosity. This happens when you grow up watching Doraemon. 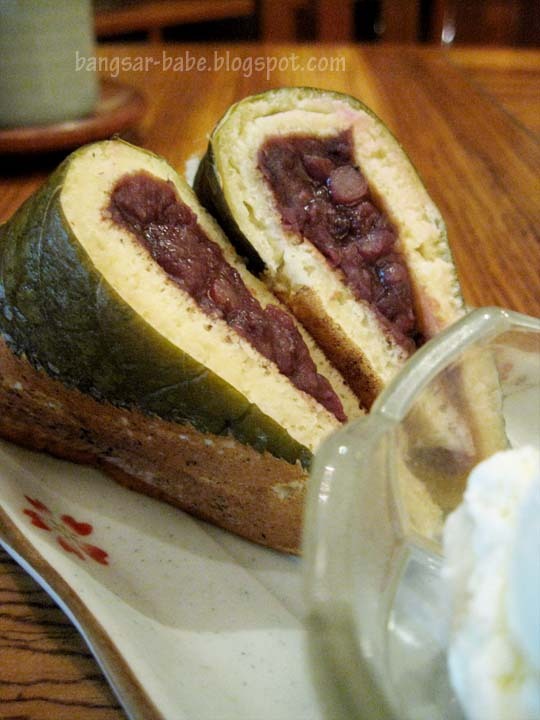 Dorayaki is a Japanese pancake with sweet red beans in the middle. The pancake was thick, puffy and fluffy, and the sweetness of the red bean paste was just right. On its own, it tasted rather normal, but the smooth vanilla ice cream gave it an extra boost in flavour. The meal ended on a high with a scoop of goma ice cream, which was a lovely gunmetal grey the result of crushed black sesame seeds. It was packed with rich flavours and a nutty aroma, which provided a good contrast to the creamy texture of the ice cream. 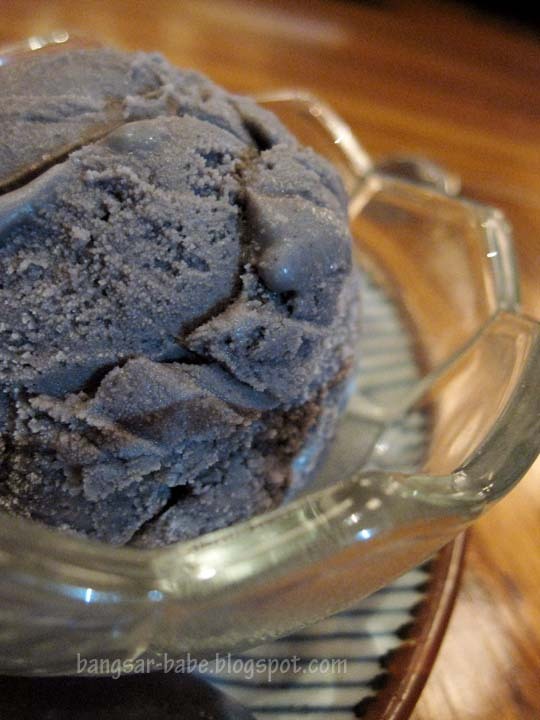 The ice cream was just sweet enough, balanced by the taste of the sesame seeds and peanuts. There are two types of sesame: shiro-goma (white) and kuro-goma (black). All in, the food was quite impressive except for some minor misses. rif and I both enjoyed the dinner and the service. Our plates were cleared promptly, and the waiters checked in to see if we needed anything several times throughout the night. Thank you theQguides.com and Hilton Petaling Jaya, for a wonderful time! 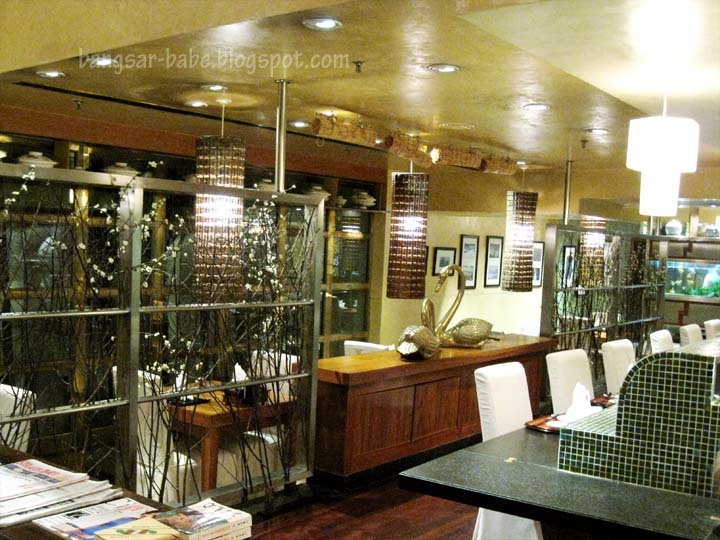 Verdict: Good food, excellent quality and attentive service. One of the best Japanese meals I’ve eaten. the case of the missing post? I like the salmon sashimi thick and fat.. nice..
use to visit this place when I was working behind PJ Hilton… great Japanese food for its price! Yup. Quality is good. But I was here for the buffet dinner last week. Wasn’t impressed with the spread. Quality was there…but service was slow and after 2 rounds, I covered everything. There is no buffet during weekdays. Just weekends. That’s a lovely spread:D Not been there for some time. Time to hit Genji again. Agree with you. Genji serves one of the best japanese food.